Browse > Home » Why Should I Be Pre-Approved? Why Should I Be Pre-Approved? Important questions to consider before you buy a home. Exactly how much of a home can I buy? By getting pre-approval before you make an offer, you will be certain of the amount of the loan you will qualify for. MyTwinCitiesRealty.com can assist you in obtaining full credit approval in advance, which will allow you to shop as a cash buyer. With written approval in your hand, you can make a more aggressive negotiation and this could save you thousands of dollars on your home purchase. There are so many loan options… How will I know which one is best for me? 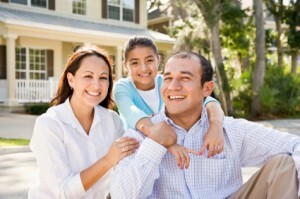 When you are pre-approved, you will have access to many loan programs. We will help you determine what programs you do qualify for, and narrow it down to the one that is right for your long-term goals. The amount of your monthly payment depends on the specific loan program you choose. We can provide you with an easy-to-read spreadsheet that compares different loan programs so that you will feel comfortable about your monthly financial obligation before even making an offer on a home. How much does it cost to be pre-approved? Absolutely nothing! You have nothing to lose and everything to gain. We provide free consultation to all our clients. Our goal is not only to help you find the best loan now, but also help you manage that financial responsibility in the future by reviewing your options. How will pre-approval benefit me when I make an offer? Full credit approval gives you buying power. It allows you to shop as a cash buyer; you can negotiate more aggressively and potentially save thousands of dollars. The seller will take your offer more seriously because they will know you already have approval from a lender. We would like to help make your home buying experience enjoyable. Call us today to help you set an appointment for your credit approval.